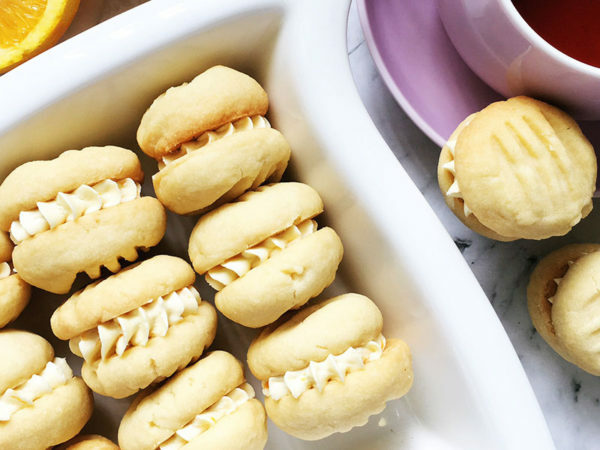 If ever I had to list favourite biscuits, a melting moment would be in my top five. Maybe even top two. Big call I know, but there’s something about that buttery crumb sandwiched with the perfect amount of orange infused buttery icing which is just right. No more paying big money for them at boutique stores, you can make them easily yourself – jump on through to see how! Personally I love an orange flavoured filling, but if you prefer it plain, just leave the orange out. Easy peasy. 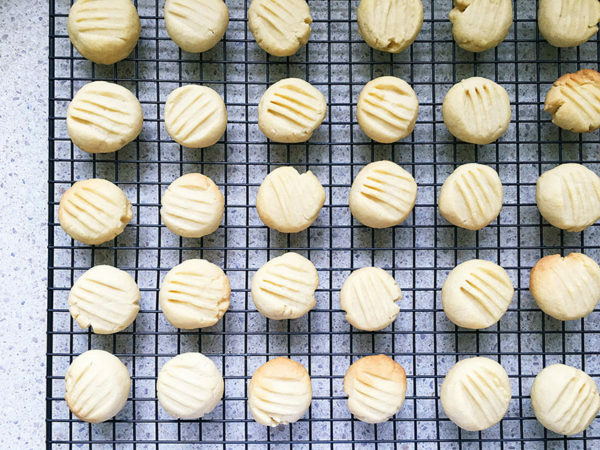 This recipe makes around 17 biscuits using a tablespoon to measure the roll – but by all means make them bigger (and cook for longer) to resemble café style biscuits or make them smaller (cook for less time) to get more out of a single batch. Preheat oven to 160°C. Line an oven tray with baking paper. 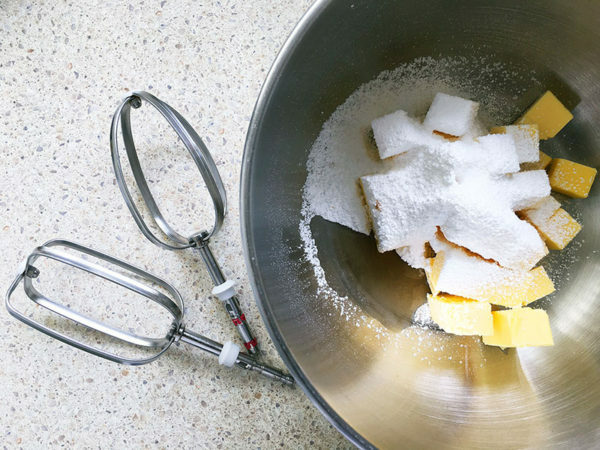 With electric beaters, beat the butter, icing sugar and vanilla together until smooth, pale and creamy. 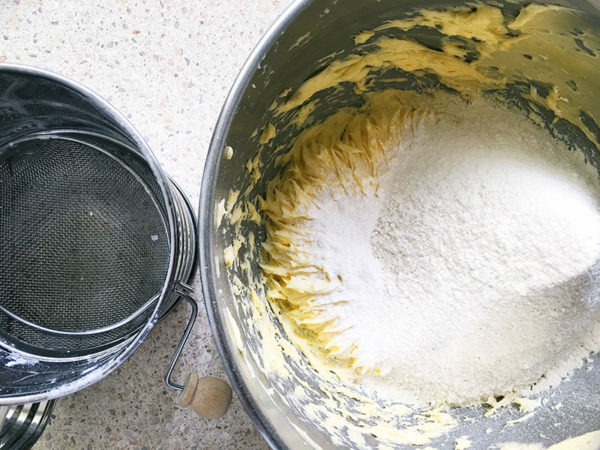 Sift the flour and cornflour together and add to the butter mixture. Beat until just combined and the dough is starting to come together. 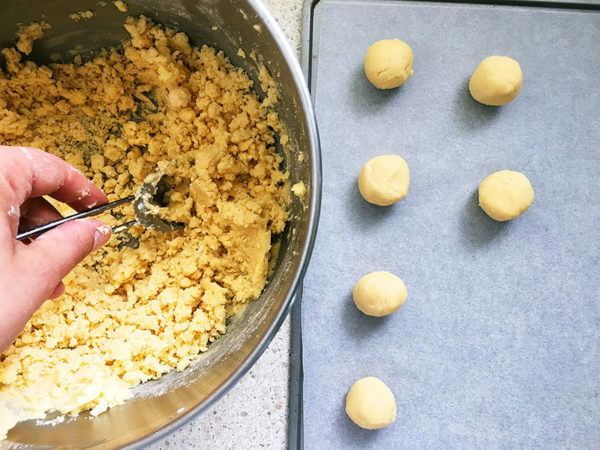 Lightly flour your hands and roll tablespoons of the mixture into small balls. Place on the tray with a few centimetres of space between each one. 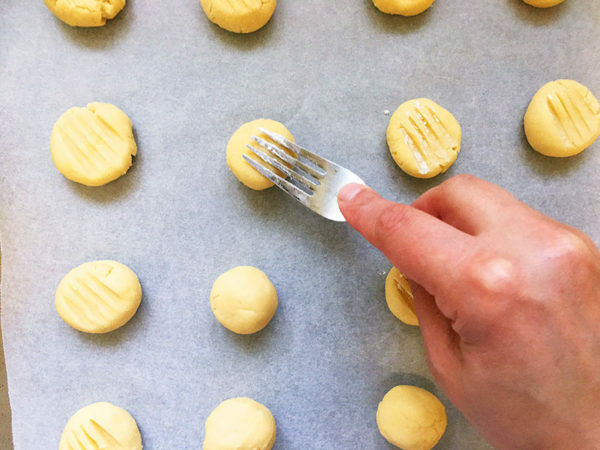 Using a floured fork, lightly press each ball flat to around two centimetres in height. Bake for 15 minutes or until cooked through. Cool on the tray for 10 minutes before transferring to a wire rack. 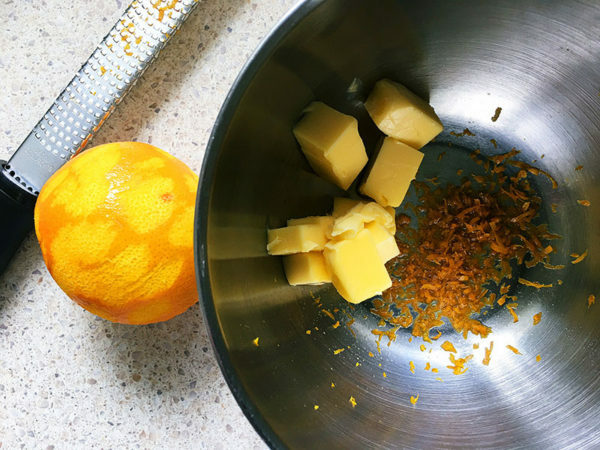 Make the filling by combining orange zest, butter and vanilla essence in a small ball and beating until smooth and creamy. 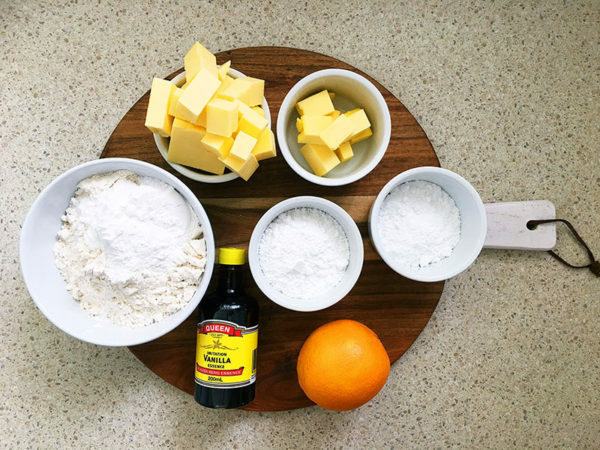 Sift the icing sugar into the bowl and beat until combined. 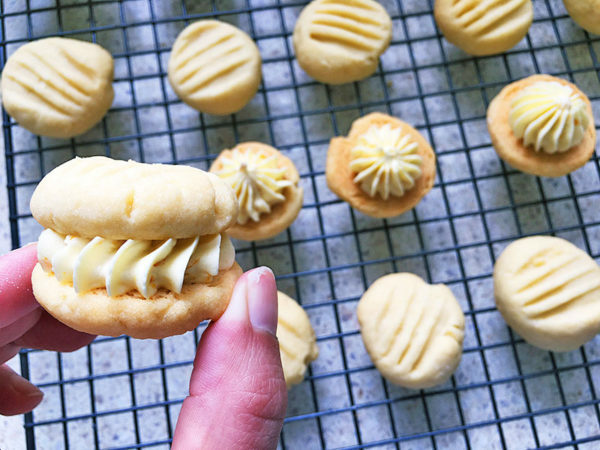 Using a piping bag or knife, spread half the biscuits with icing before sandwiching with the other half. 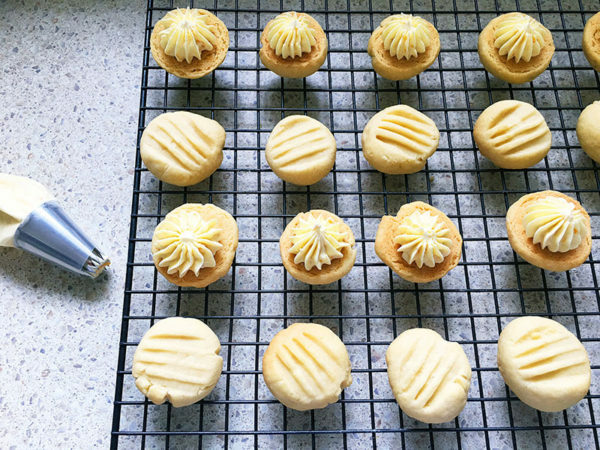 Now all that is left to do is make yourself a well deserved cuppa and enjoy biting into your melting moment biscuit!